A delicious frozen dessert with a stunning colour and flavour. 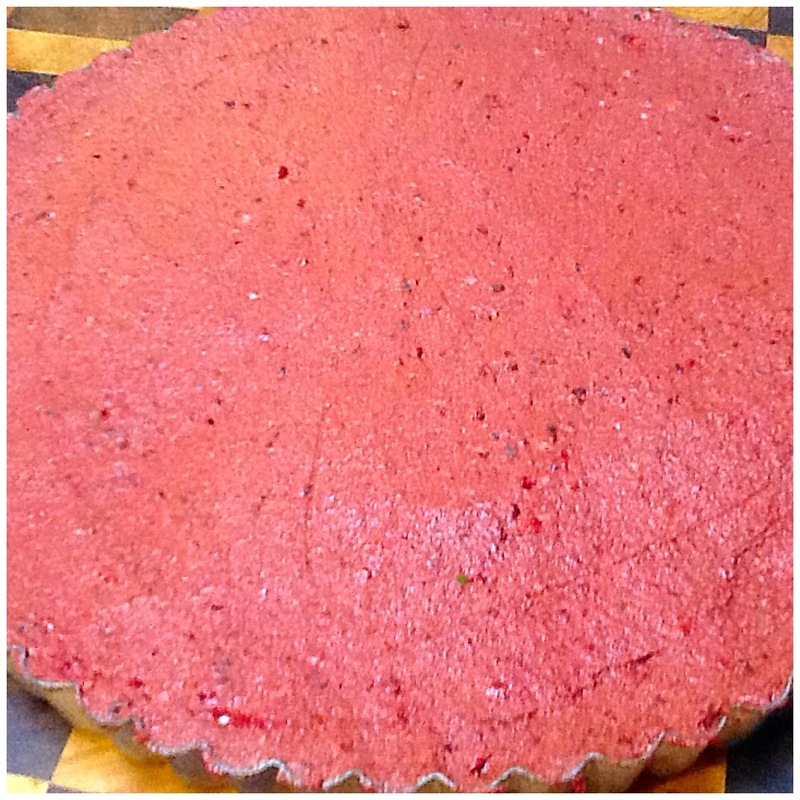 This raspberry and chocolate tart can be eaten straight from the freezer where it will be firm and cool, or at room temperature where it is quite soft but holds together and has a really creamy delicious taste. You could also just eat it freshly made as the frozen berries give it a wonderful coolness and texture. 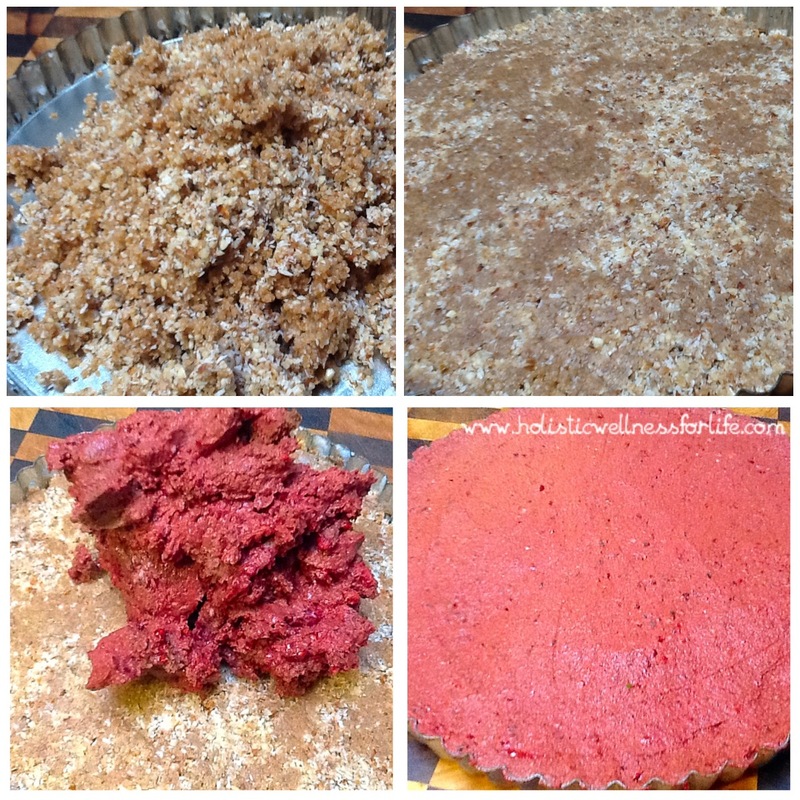 This tart can be made ahead and kept in the freezer. Just keep it on a firm base and cover it in cling wrap. On the day it is required just remove it from the freezer and decorate, or slice it and keep it in the freezer to have as a snack. 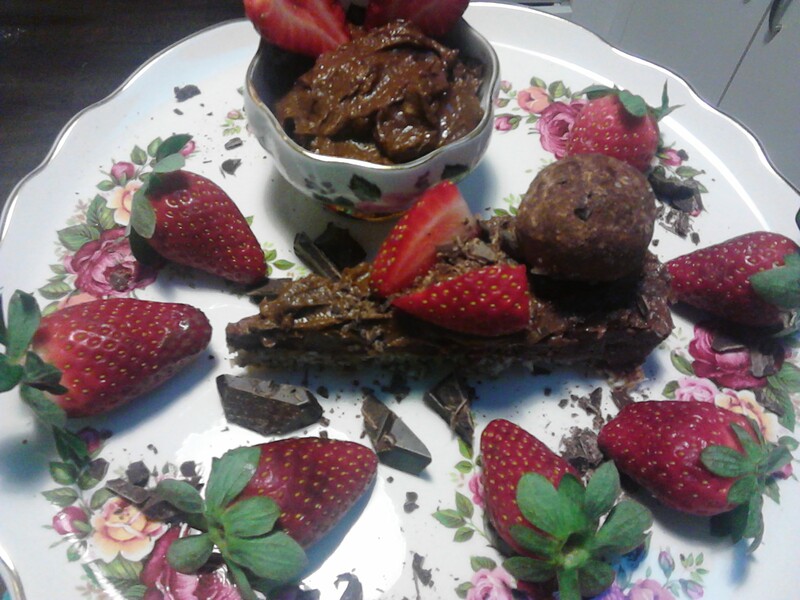 The tart is paired here with a delightful chocolate mousse, fresh strawberries and Raw Organic Dark Chocolate. I used a round baking tray with a decorative edge that had a removable base. 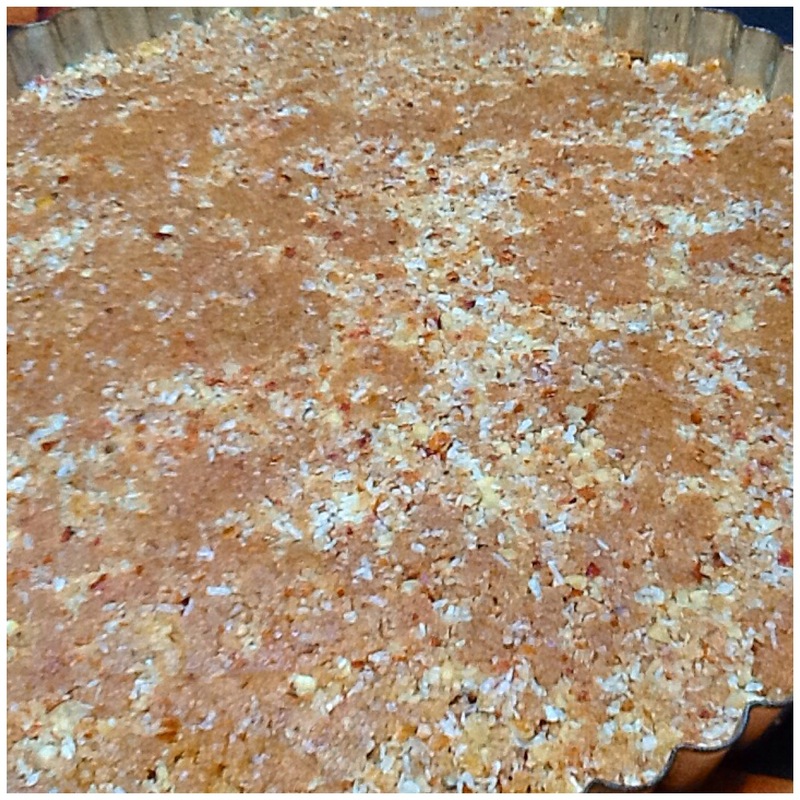 I greased the inside of the tray with organic coconut oil and then made the base. 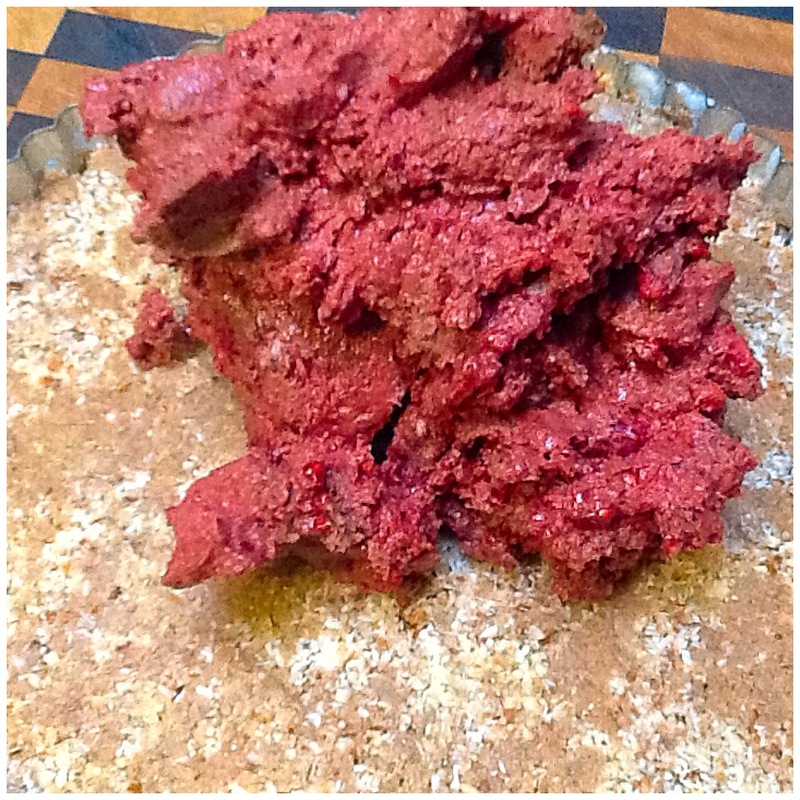 1 cup of activated almonds (or other hard nut of your choice), 1 cup of shredded organic coconut and 8 large medjool dates (remember to take out the seeds). Blend well in the food processor and then press firmly into the pan. Place this into the freezer to set while you make the filling. The pan is greased well with coconut oil. Use a spatula to spread the base and to push it down so it is flat and firm. 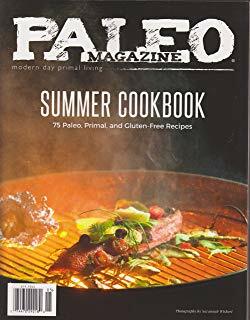 1 large ripe avocado, 1.5 tablespoons raw organic cacao, 3 tablespoons of organic coconut oil and 1 cup of medjool dates (Approximately 10 dates with the seeds removed). Once combined add 1 really generous cup of frozen raspberries and gently pulse through the mix so they are roughly chopped up or blend thoroughly if you want them mixed through. 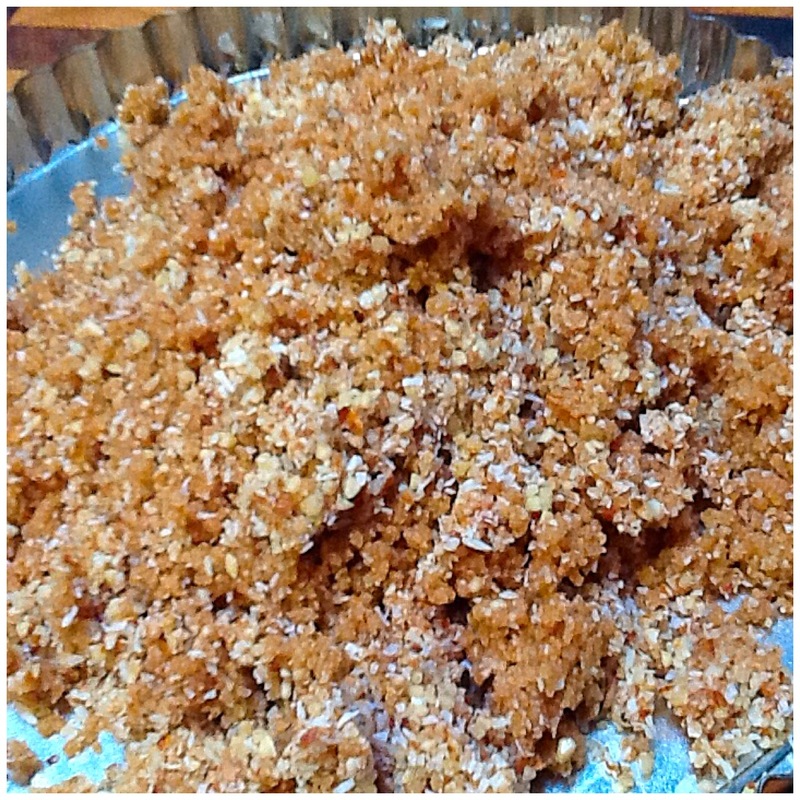 Remove the base from the freezer and fill with the delicious mix. Smooth the top with a spatula ensuring it is nice and even. The more berries you add the pinker the colour. Cover with cling wrap and return to the freezer to set. 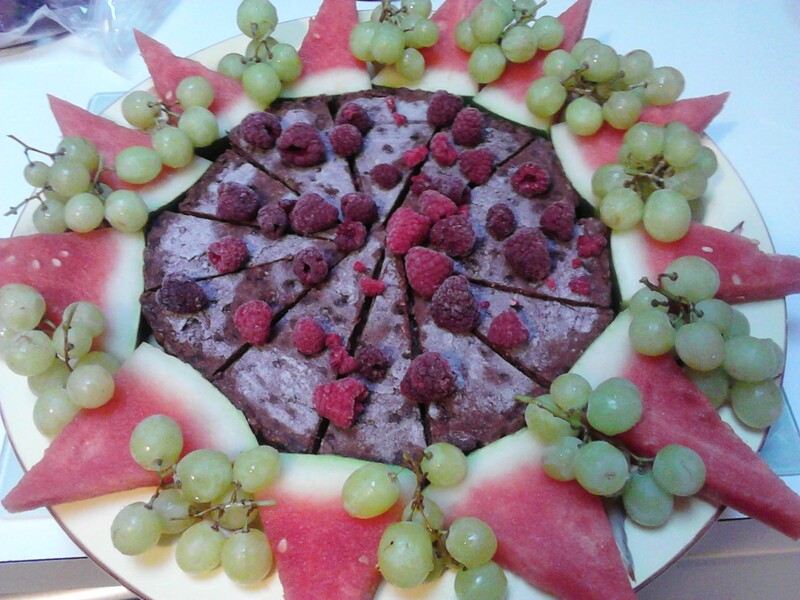 When you are ready to serve the tart, remove it from the freezer and decorate with extra berries and fruit. Made with real whole food ingredients. Alternatively, cut up the tart and freeze, so that you can have a piece as a snack with some berries and raw dark chocolate. Served with frozen berries and a piece of Raw Dark chocolate. This is a very rich treat and a small piece is very satisfying. 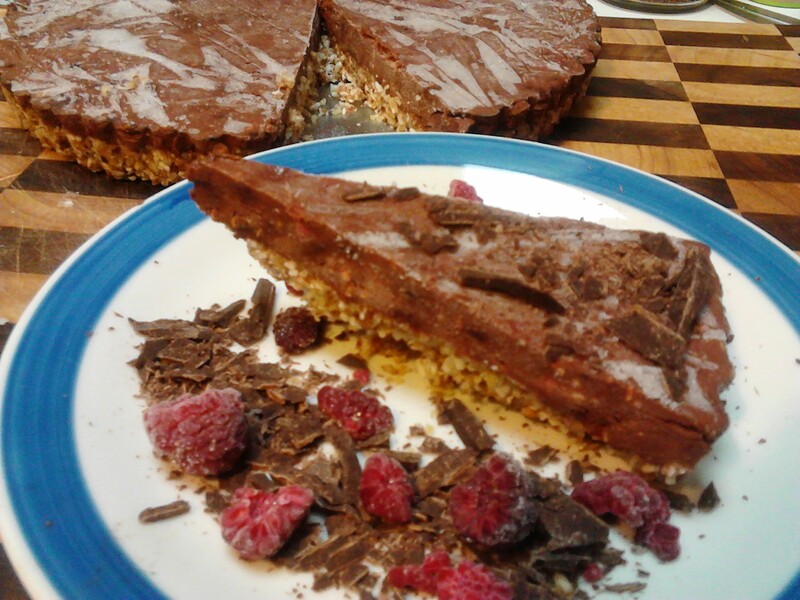 The coconut and chocolate are a wonderful combination and this tart is very pleasing to the taste buds. You can follow me on Instagram at holistic_paleo or on Facebook at Holistic Wellness For Life or Primal Living Melbourne.